This is our first project with Loyn + Co Architects and it has been a really enjoyable and creative process. 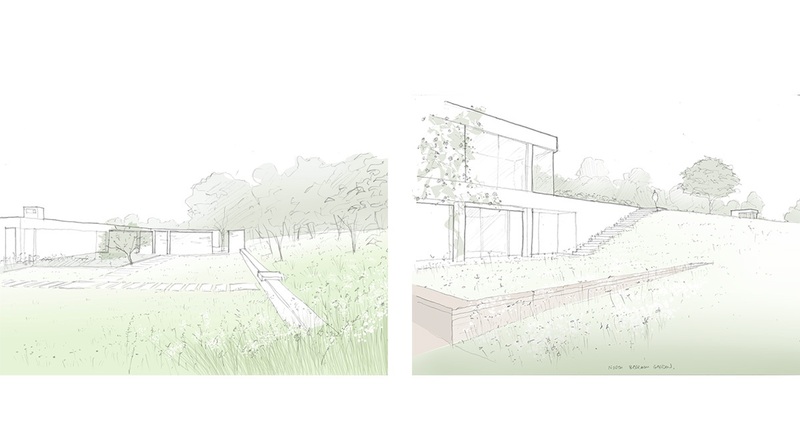 Our proposals seek to unite the existing house with the surrounding landscape, through the removal of the current suburban planting and the restoration of the rural character of the site. The site’s ecological value will be dramatically improved by the creation of eight separate habitat types that will cover almost 90% of the ground. 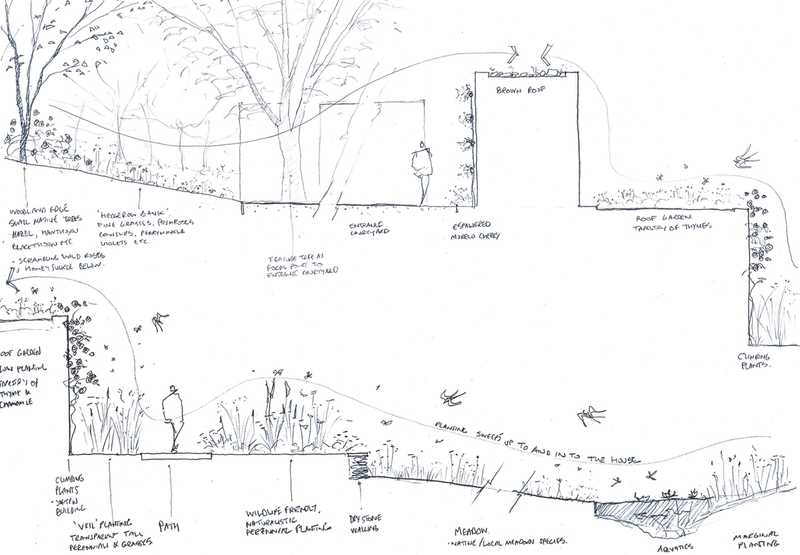 These differing habitats will result in numerous ecological benefits, improving not only the immediate setting but also filtering out to enhance the wider surroundings. 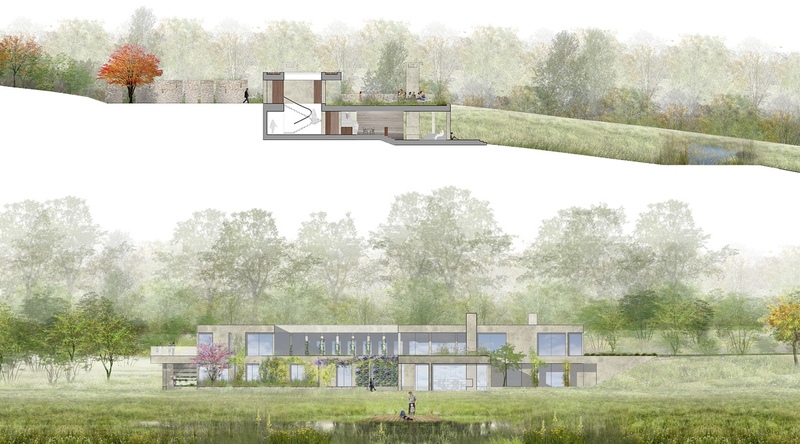 Two major habitats, the woodland and the meadow, will provide the setting for the centrally located house, allowing it to interact with the whole site and with the extensive views beyond. A new wildlife pond, located at the lowest point of the site, will be an ecological hub and a focal point when viewed from the house. 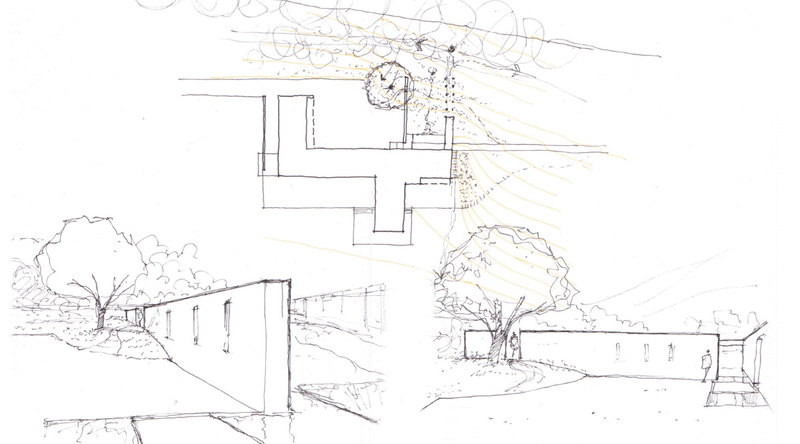 Visible domestic garden spaces are kept to a minimum and close to the building. 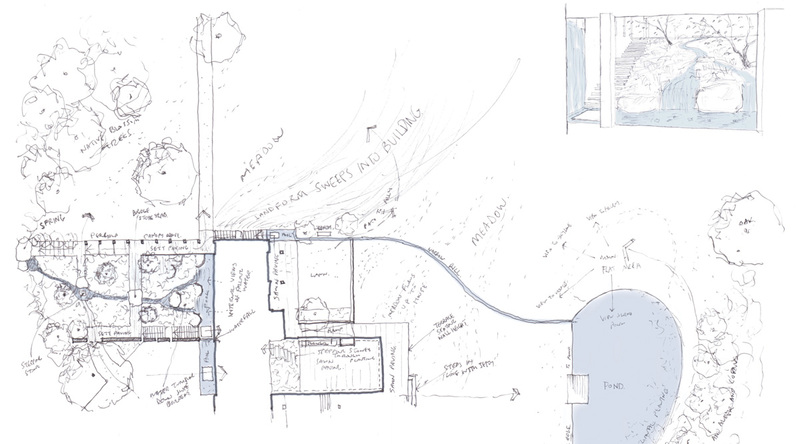 The naturalistic garden planting will be seen as an extension of the meadow and woodland planting schemes, providing a seamless connection between them, making the house part of the landscape. Climbing plants and green and brown roofs will further reinforce this. 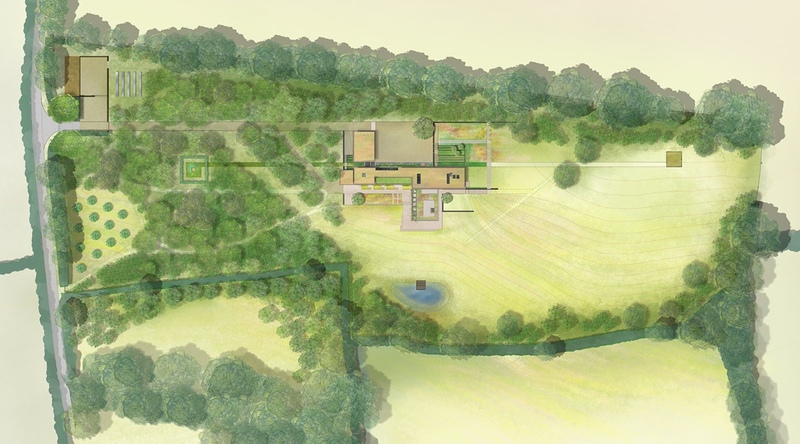 The woodland planting, which relates to the many small, geometric woodland blocks in the area, provides the entrance sequence and allows glimpses along rides to views beyond, before arriving at the house. Also to the south will be an orchard, once numerous in Icomb. One of the defining characteristics of the local landscape on this farmed valley slope is the patchwork of small fields with well-maintained hedges. This will be echoed on site through replanting or laying the poor existing hedges. The line of existing ash trees on the western boundary form a strong visual feature on the skyline and this will be maintained and strengthened by the additional woodland planting. The meadow will be kept clear of any kind of ‘parkland’ tree planting to maintain the rural visual character of field and hedge. 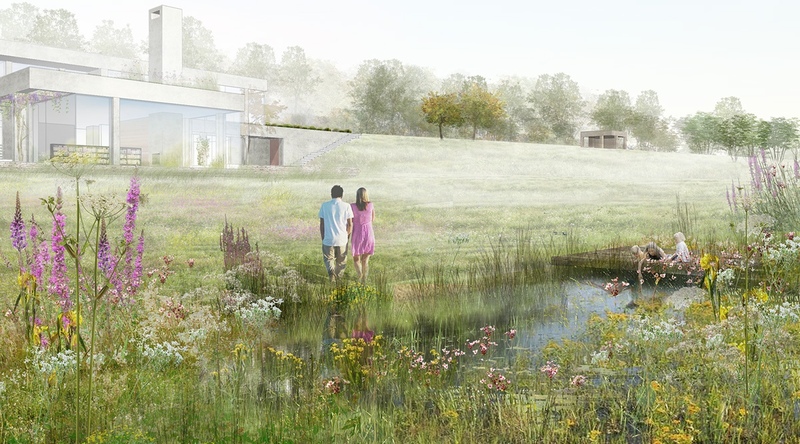 The meadow will sweep right up to the house, connecting with the naturalistic perennial garden planting and then with the climbing plants, and further the green and brown roofs, to provide a green route over the building. Taking on board the feedback we were given at the first Design Review Panel we developed the key views, sections and elevations. 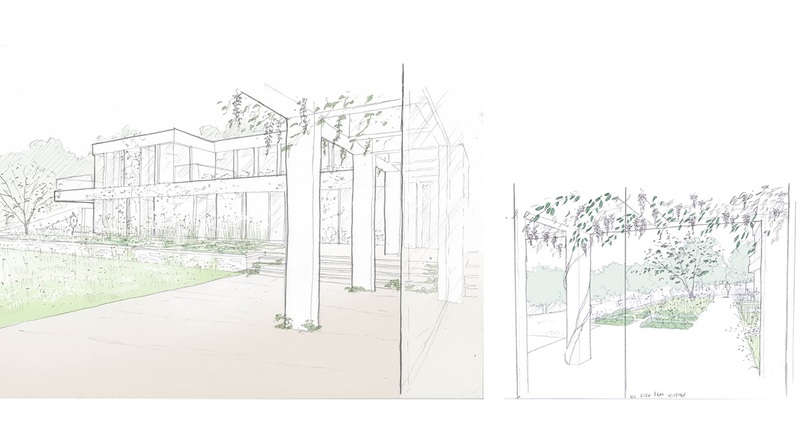 Once we have an initial landscape concept we produce sketch illustrations to develop initial ideas and illustrate our working process. 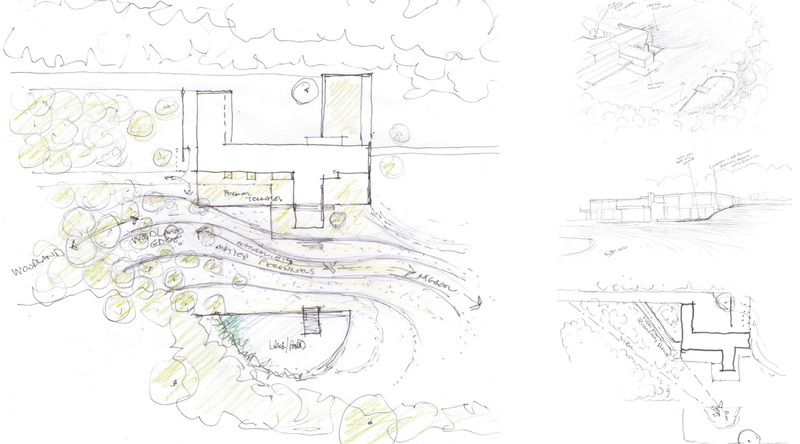 Our initial concept for the site, with the adjacent landscapes flowing up to, around and into the building, has remained strong throughout the design process.